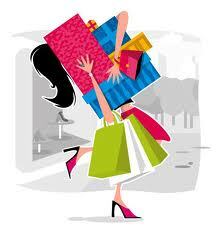 It’s finally cooling off in Jacksonville, FL, Thanksgiving has past and the Holiday Season is officially upon us, leaving many running for Black Friday and Cyber Monday deals. While running is great cardio, it may not be so great for your feet due to obnoxious heel pain, also known as plantar fasciitis. From the weekend recreational runner, to professional athletes, and holiday shoppers making their way through the St. John’s Town Center or The Avenues Mall, heel pain is unbiased. Where does plantar fasciitis cause pain? In the arch and heel of the foot. Early stages: the pain is most severe when stepping down the first time in the morning and improves with walking. As the condition progresses pain becomes present throughout the day - and can be quite disabling. How do I get plantar fasciitis? Inflammation of the large ligament running from the heel across the bottom of the foot to the ball of the foot. The inflammation is caused by "overuse" of the ligament, which causes injury and tearing of some of the ligament fibers. Getting rid of inflammation by icing and stretching: As with any treatment plan, stretching techniques will be suggested and can be combined with icing to alleviate some of the discomfort by rolling/stretching your foot over a frozen water bottle. Anti-inflammatory: Always consult your physician before taking any medication, and to confirm that the condition is plantar fasciitis. For many people with mild or moderate plantar fasciitis these methods alone will bring relief. 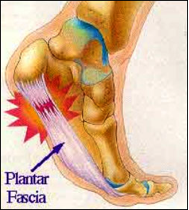 Unfortunately for some cases of persistent or severe plantar fasciitis, a more direct treatment plan will be needed. If you’re currently suffering from plantar fasciitis symptoms and other treatments have not been effective, you may be a good candidate for a non-invasive procedure called Extracorporeal Pulse Activation Technology, or EPAT. EPAT was initially used to treat kidney stones before being approved for several musculoskeletal disorders, including plantar fasciitis. How does it work? EPAT works through pressure waves increasing the circulation and metabolism to an area, speeding up the healing process. It offers more intense results to persistent pain without the risk and recovery time associated with surgery. EPAT is not needed for every patient, but those who are candidates have experienced great results. If you or someone you know is suffering from severe heel pain come see us at First Coast Foot and Ankle Clinic to get your feet free of pain.